Nice location and has a beautiful sky view from the balcony. 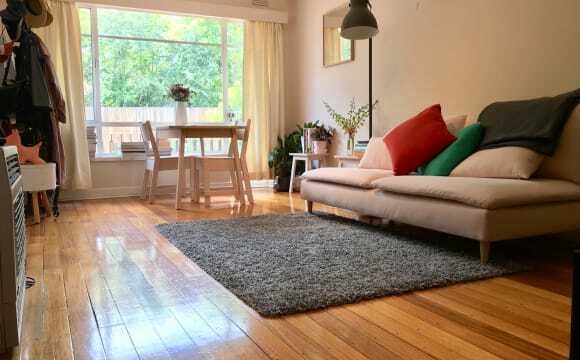 Wooden floor, gas heater and just 1 minute walk from the tram stop which takes you to the city (9km) in approx 20-25 minutes and Swinburne university (1.9 km) in 20 minutes. These bedrooms with built in robes on top floor north facing apartment located in a well-maintained block with security entrance. This apartment is fully furnished with bed, study table, chair, kitchen with gas cooking, spacious bathroom, separate toilet, and laundry facilities. On-street parking with the permit for one car and only minutes to the buzz of High Street shops, schools, supermarkets and transport in all directions. To whom work or study in CBD, there are 2 trams (109 and 48) that could get you to the CBD in just 20 minutes. The tram stop is only 3 minutes walk from the apartment. It's also near to tram 16 which could get you to Swinburn Uni, St Kilda and Melbourne Uni. The bus stop which is 7 minutes walk away (route 200 and 207) could take you to City, Lygon St (Carlton) and Doncaster Shopping Center. Good place for people looking for short term accommodation. Single person - $250 a week and Couples - $350 a week (includes all bills - electricity and wifi). 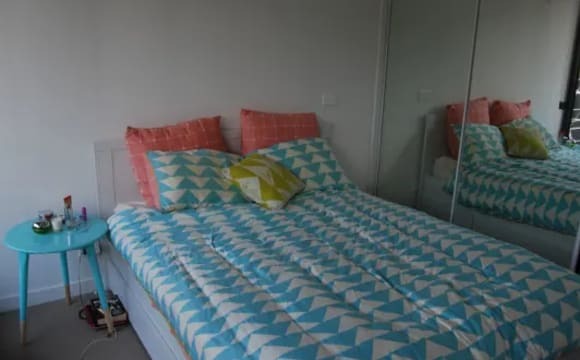 Room is fully furnished: Double bed Table &amp; chairs Chest of drawers built in wardrobe Reverse cycle air conditioner (heating and cooling) bedside tables, bedside lights and alarm clock It is a clean, comfortable, light and spacious room and the bed is comfortable. There is also a car space available - if you have a car. Transport: 2 trams - less than 5 minutes walk - 109 / 48 - both go thru Richmond to City (Collins Street) 1 tram - 10 minute walk - 16 tram to St Kilda 2 buses - less than 5 minutes walk 207/200 - into the city via Collingwood, Fitzroy and Carlton Supermarkets, shops, restaurants, cafes, bakeries, butchers, doctors, chemists all within 5 minutes walk. Recreation facilities - Kew Recreation Centre (pool, gym, classes) 10 minutes walk and Studley Park (hiking, running, golf) also 10 minutes walk. The apartment is on the top floor so very quiet and surrounded by trees. Beautiful spacious apartment located in the gorgeous Kew. 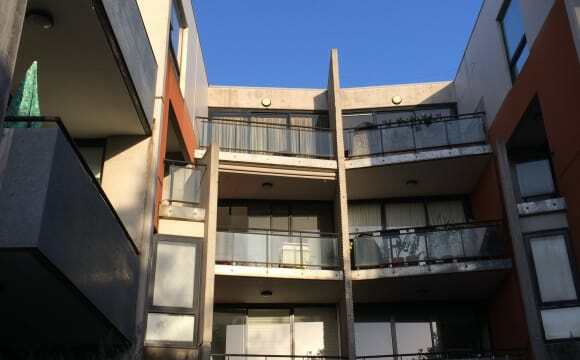 Big living/kitchen area, balcony and 2 carparks (underground). Bedrooms similar size, located at the back of the apartment. Quiet apartment block with very friendly neighbours. 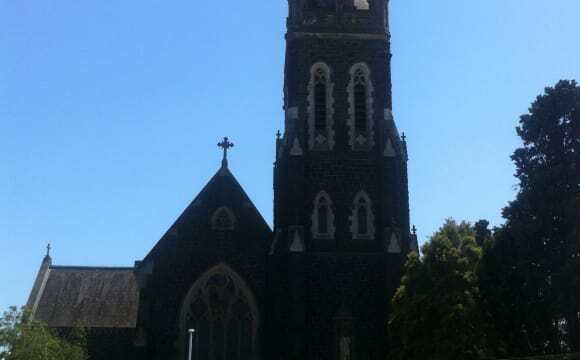 Located 5 mins from Coles/Woolies and the pub. Public transport down the road (400m to tram and 20m walk to bus stop directly into the city). Richmond, Hawthorn, Camberwell and Fitzroy all just around the corner. Perfect location for someone who enjoys the quiet suburban lifestyle while still living close to the city! PSA: so many gorge cafes and restaurants. Enjoy living on your own for the next 3 months! 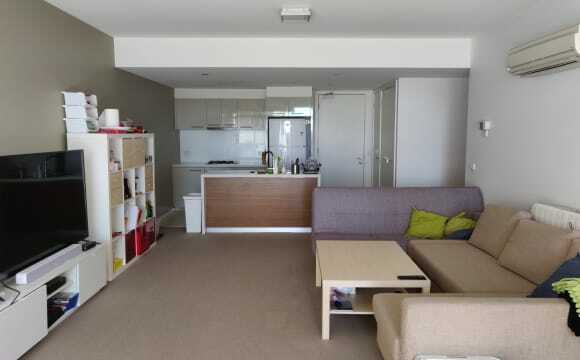 Super spacious, well maintained, single level, villa unit, located on the 109 Tram Route in Kew. Features Include: - Open plan living/dining - 2 Bedrooms (big enough for queen-size bed plus study desk) - Fully renovated bathroom plus separate powder room, two toilets and renovated laundry - Large refurbished Kitchen/meals area - Bathed in natural light - Sunny courtyard - Polished timber floors, ducted heating, air-conditioning, external awnings - Easy access to Kew Junction shopping, Glenferrie Road shopping, parks, bike trails, cafes. The house is pretty big, it has a nice backyard and a garage for storage (and our table tennis table). It is fairly private, being set back from the street with a big fence. There is off-street parking and free on-street parking on Hartington. It is easy to get to the city, Hawthorn and Richmond, and close to the Eastern Freeway to get to Doncaster and the Eastern suburbs. There are bus and tram PT options close by. Gas heating but no air-conditioning. I have a little apartment in a quiet Kew street, walking distance from the Kew junction, Willsmere shops &amp; some nice walking tracks etc. 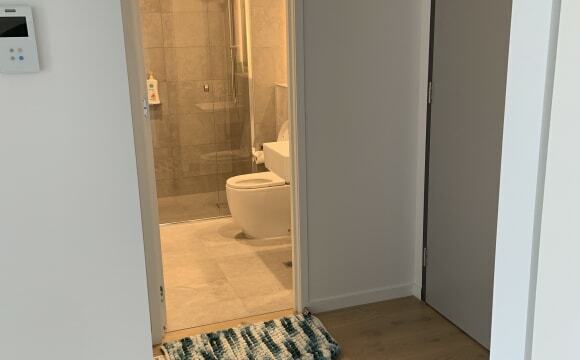 I have one room available as a friends moving out, there is one bathroom quite a large living area and average to small kitchen, with a little balcony out the front ( + a lot of dead plants, green thumb pls move in) and a courtyard out the back. I keep the house nice and clean, just don't look at my bedroom haha. There is a parking spot available + heaps of parking on the street. 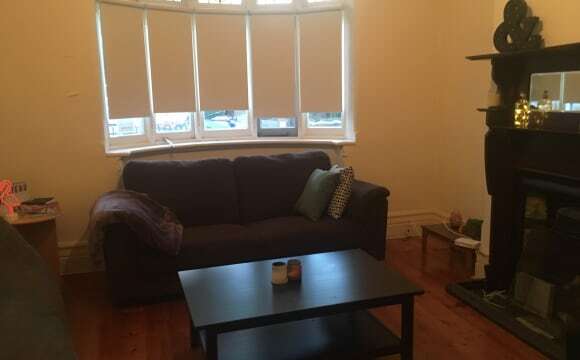 **Fantastic quiet Apartment in Kew 5 mins from Abbotsford Parks (including Abbotsford convent The downstairs is really roomy with newish furniture (Vintage/Scandinavian styled). All you need to bring is your furniture for your room. 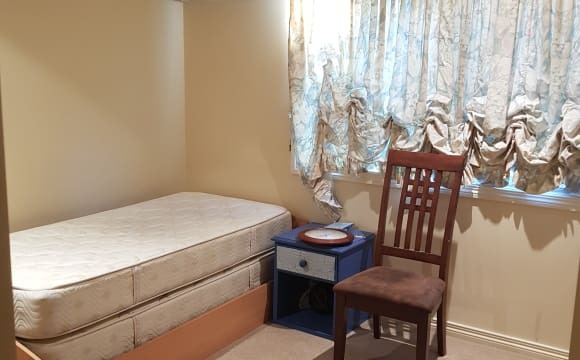 The room is a decent size I would say a double (maybe a touch smaller) fits a queen bed and bedside table with a large BIR, the Bathroom has storage for linens and such and there is storage in the attic too. About you - Friendly with a sense of humor, respectful and has common sense and considerate of others belongings, and personal space/alone time, Works Full time and gets out and about and has a social life, helps out with cleaning and environmentally conscious - i.e knowing how to recycle, and switches lights off when not in use or basically conscious of electricity usage. The house is pretty clean and I clean as i go ,so I appreciate someone who is quite clean also. No couples or students sorry No animals allowed unfortunately. 2 minute walk to bus stop and 10 min walk to Kew Junction Transport i.e tram or bus goes straight into the city. Please note this is just a step away from popular suburbs like: Collingwood/Hawthorn/Richmond and Abbotsford! ! No carspot on site but unlimited on street parking with no permit required never been issue for guests or past housemates. Please note the rent per month is $1040 your half and the bond is also $1040 - both to be paid in advance if accepted. - $240 per month is based off a rental calendar as not every month has 4 weeks in it. **Mobile Text/SMS is preferred, cheers** **Not Accepting couples now** Clean tidy positive atmosphere, close to buses and trams and shops. Unlimited internet with Internode. Lots of natural light in rooms and throughout the house. Huge balcony with great views. Also, I have a lovely cat Donny, he's really cute and people friendly. Great location, close to 2 tram lines, walk to Glenferrie Station. Close to Glenferrie Road shops. Quiet house and friendly roommates! 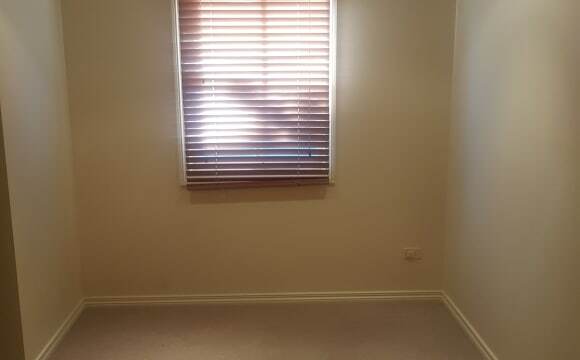 Room available in a 2 bedroom apartment in Hawthorn from the 14th of April. Nested in a quiet, leafy street, the apartment is within 3 min walk from 109 and 48 tram lines and a 13 min walk from Hawthorn station. 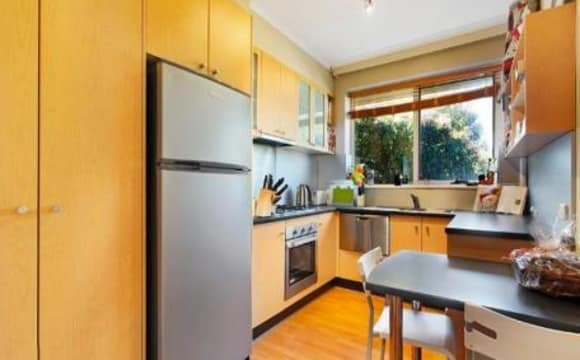 IGA and cafes within walking distance, whilst VicGardens and Swinburne University is a 5 minute bike ride away. The ground floor, double brick apartment is cool on hot summer days, and relatively insulated during cold winter nights. The lounge room catches gorgeous morning and afternoon light, made cosy with polished timber floors. The kitchen is fitted with a new stove top, range hood, working dish washing machine, and plenty of pantry space. The bedroom itself is carpeted, catching lovely afternoon light, it comfortably fits a queen sized bed, bookshelf, and tall boy/desk (as pictured). The room is furnished with a queen bed frame, desk and matching shelf. The house is beautiful. It's fully renovated and light and bright. It has air con, heating a fireplace and is walking distance to coffee shops, tram line and has a huge parklands across the road. Available temporarily as on the market. An amazing light bright apartment with a huge private north facing balcony. Plenty at your door step.. shops, supermarket, cafes, restaurants, gyms and Glenferrie station a 5 minute walk. Less than half an hour from home to the city centre. Apartment has just been fully renovated - with a large bathroom and fully refurbished kitchen with new appliances. Bedrooms are very large, have built-in-robes and have their own windows. New carpet throughout and freshly painted. Apartment has a gas heater as well as a split system air conditioner. It is located on the first floor and has a separate living area as well as a huge outdoor terrace. Apartment has fridge, microwave and kitchen table/chairs. Apartment is on tram route 48 and 100m walk from route 109; plus only 15 minutes walk to Hawthorn Train Station. Excellent condition; has not been lived in since renovation. Price includes unlimited internet (NBN being connected now) and water. Electricity and Gas separate. This is a beautiful 2 level property with huge open living space and patio with park view, separate laundry and a friendly neighborhood. 2 Bedrooms on the upper level with bathroom access and additional washroom downstairs. The house is furnished but NOT the bedroom you will have. 2 Car parking spots and easy 1 minute walk to Tram 48 and 109, 20 minute access to CBD. There is a beautiful 8 minute walk to Hawthorn train station through the park. 15 minute walk or 2 minutes tram ride to Victoria Gardens and a 5 minute tram ride to Kew Junction. The bond is actually 6 weeks rent and not 4 weeks. Our beautiful apartment in the leafy suburb of Hawthorn has a room available for you to join! The apartment is located in West Hawthorn, right near Hawthorn Bridge, with only an 8 min walk to the train and 3 min to the 48 tram! We live on a quiet street with two big parks right next door, plenty of street parking and Vic Gardens is less than a 10 min drive away! The apartment itself is a cosy abode, with herringbone floors and a small balcony with awesome park views. Any furniture you may have is a welcomed addition to the house! The room comes unfurnished but can comfortably fit a double/ queen bed and has an inbuilt wardrobe. Great location in Hawthorn! Available 25th of April. 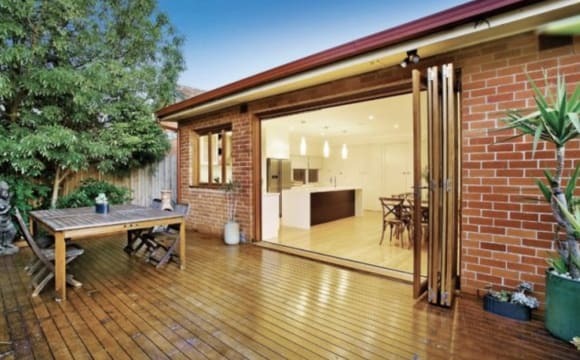 Location benefits: - 10 min walk from Glenferrie Station. - 8 min walk from the Route 16 Tram on Glenferrie Road. 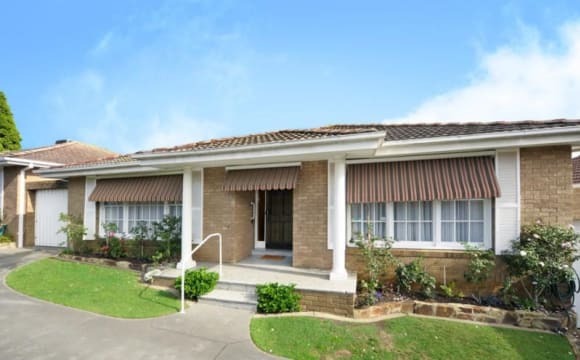 - Close to all the great shops and eateries on Glenferrie Road. Some of the best in Melbourne. - 5 min walk from the beautiful Central Gardens (fairly large park). General Apartment Stuff: - Inset from the road so there's no noticeable traffic noise. - 1st floor, but raised off the ground. Doesn't get super hot in summer. - Gas hot water (relatively less expensive electric bills) - All non-personal common area items are already present. - Unlimited data ADSL2+ internet. - Small yard area that's great for growing pot plants if that's your thing. Kitchen: - Gas cooking (4-burner stove, grill and oven) - Microwave and slow cooker - All the usual pans and utensils - Good amount of bench space for cooking - Fully stocked spice rack that I'm willing to share, within reason Lounge/Dining: - Large TV with good 2.1 sound system (BYO content/game console/laptop with HDMI). - Comfortable couch and 4-seat dining set. Bathroom: - Washing machine - Bath next to the shower. Big enough for a 6 ft person to be comfortable in. Bedroom: - (IMPORTANT): the photo I chose is older because I wanted to show the room with less stuff in it. Other than that, the room looks the same as it does now. That bed in the photo doesn't exist anymore. - Fan and heater left behind by the previous flatmate Bills: About 20 per week on average, but varies seasonally and based on usage. Cute, sunny, spacious ground floor apartment located in a quiet area of Hawthorn. Walking distance to no.75 tram and Hawthorn station (approx. 5 minutes). The place is fully furnished with everything that you need! Hawthorn West - right near Yarra - just over the Richmond border. Ready to move into on May 11th. Full-time workers only. Women only. Hospitality workers are favorable. Gorgeous two bedroom apartment with a furnished spare room containing a King single (complete with trundle bed), loads of storage and very quiet garden views. Fifteen minutes away from the city (by tram). Ample parking. Five-minute walk to two trams or a train if you choose. Loads of lovely parks to explore. A quiet spot to gather your thoughts in Melbourne. ROOM AVAILABLE FROM 20TH MAY!! Hi flatmates, we're looking for a third person to join our humble yellow house in Hawthorn. The bedroom itself fits a queen size bed and has huge built-in wardrobes amazing for storage. You would be living with Bek and myself, both in our mid-twenties who work regular hours Mon-Friday. Ideally we're looking for someone who works similar hours (no students sorry!) and someone who is clean and respectful of our own space, but also up for a chat and sneaky vino and netflix together. The room is $184 per week/$797 per calendar month and comes with a parking permit. The house is in amazing location - quiet street but less than 5 minutes walk to Glenferry train station, trams, Coles and Woolies, Chemist Warehouses (x2! ), Lido cinemas, gym and plenty of food places! The house also has a decent backyard in which we grow veggies and herbs. The house is LGBTQI friendly, non-smokers are preferred, and the house isn't currently approved for pets but this may*** be flexible. If you think you could be a good fit please private message me on here :) Thanks!! AVAILABLE MAY 20th!!! The apartment is brand new and an extremely close walk to Glenferrie station, goes direct to the CBD in &lt;15 minutes (even less with morning Express). Nearby are restaurants, Coles/Woolies, Lido Cinema, Swinburne University, A sports and aquatic centre, sports field and much more. The apartment is on level 1, so easy access via stairs or lift. Optional car space for a bit extra. The room is furnished with a queen bed, full sized cupboard mirror, desk and chair, with a kitchen, living area, air conditioning, balcony and shared bathroom. Welcome to share kitchen utensils, iron and other appliances as long as they are cleaned after use. If the furniture is not required the price is $255, otherwise if remaining furnished $265. MUST SIGN ON TO THE LEASE UNTIL FEB 2020. Swinburne university , Glenferie road train station and tram stop are is Within 100 meter. The apartment you will call home is one in a modern five storey apartment complex which is very centrally located, off Glenferrie Road in Hawthorn. The apartment backs onto the train line and is a two minute walk to Glenferrie Station and 16 tram. The apartment is rather small, contains two bedrooms and one bathroom, and a balcony that is awesome for beers and brunch! Your room is small, though will fit a queen size bed and 2 small bedside tables. It has a mirrored wardrobe with loads of storage space. Given that the apartment is quite small, you will need to be on the same page when it comes to space, cleanliness and respect for each other. My expectations aren't unreasonable so yours shouldn't be either. If you're house-trained, a good communicator and have lived in share houses previously, we shouldn't have a problem. Insert disclaimer here: *No pets, no smoking, and sorry, couples need not apply* Bond is $1,000 and rent is $238 per week. Bills (electricity, gas, water &amp; internet) are quite cheap and are split evenly. I also have a Netflix account that I'm happy to split, if that's your cup of tea. The apartment is furnished with all the essentials including a fridge, TV, washing machine, dryer, microwave, iron and general kitchen gadgets. The couch is a little dated so if you have a replacement that fits the space, I'll be certainly be open to the idea! 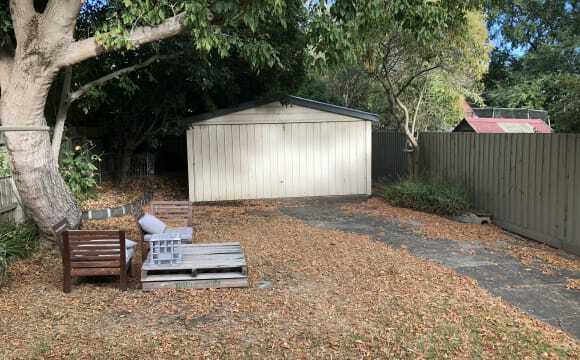 LARGE PRIVATE room 4m x 4.5m in central Hawthorn available 1st May 2019. Secure building and own private lockable room. Large windows. Recently polished floorboards. Freshly painted. Good bones. Natural light. Period features. All bills included in rent including internet (as long as internet is reasonable use) so total rent per calendar month is $900. A safe neighbourhood. 2 mins to Swinburne Uni. Close to many forms of public transport. 2 mins to a major train station (Glenferrie). 12 mins train ride to the city. Trams at the corner. Numerous cafes, restaurants, gyms and an independent cinema close by. 2 major supermarkets within 2 mins (and one independent within 5 mins ;) 24/7 private well lit rear entrance. Entrance through the shop is fine if we're open. Discounted wine :) The featured view is from the wine shop. Basic kitchen. Large basic showeroom. Seperate toilet. There is noise associated with the location, esp. Tuesday nights at the Nevermindbar which can get noisy. People with sensitivity to such things should not apply. Australian residents only. 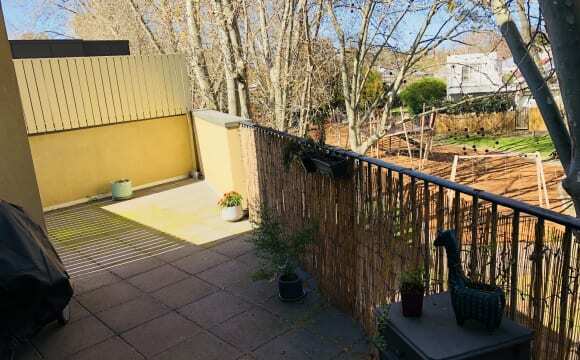 2 story townhouse Close to city and yarra river. Free internet. Close access to public transport Close to city Friendly neighborhood. I am offering: - Whole fully furnished 2 bedroom apartment ($600 per week for whole apartment). - Or you can individually choose one of the two bedrooms that is on offer ($300 per week per bedroom). Both rooms are identical, and both rooms have double-sized beds. 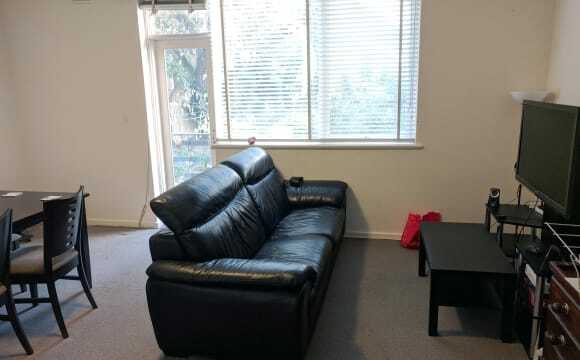 (Please note there are currently no flatmates, 1 flatmate was force-selected by Flatmates website) The immaculate top floor apartment is located in the heart of Hawthorn, close to Swinburne University of Technology (Hawthorn Campus), University of Melbourne (Burnley Campus), St. James Park, easy access to Bridge Road Shops, and the Hawthorn City Centre. The apartment is less than a minute away from Hawthorn Railway Station, and just a few steps away from Tram Route 75. 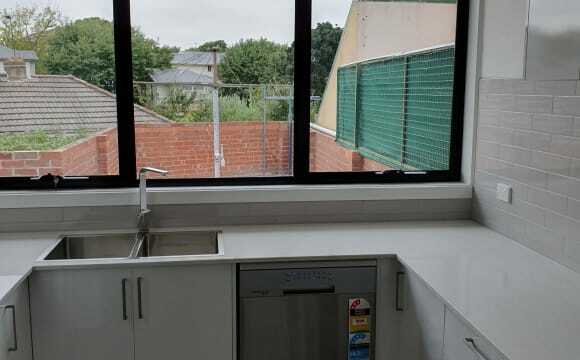 This apartment is very convenient for Students who are studying at Swinburne University, only 2 minutes with train ride or about 10 minutes walking distance away. Additionally, it is about 5 to 15 minutes away to the Melbourne CBD with train, tram or car ride. 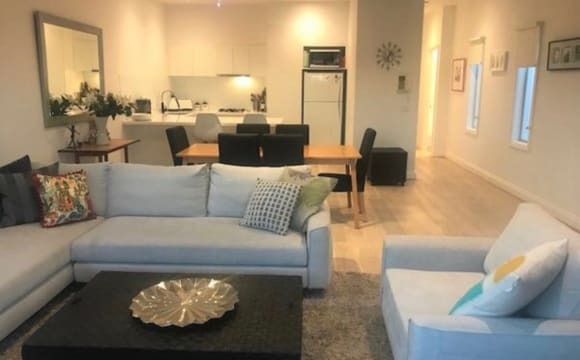 The fully furnished 2 bedroom apartment contains an open-plan living room that is air-conditioned, beautiful sun-bathed balcony viewing the Melbourne CBD, modern kitchen with dining area and stainless steel appliances including TV, fridge, microwave, dishwasher and stove, to name a few. This wonderful fully furnished 2 bedroom apartment features spacious and private bedrooms with mirrored built in robes, ceiling fan and heating. The apartment also contains an additional common small study room area, a bathroom with shower-over-bath, vanity and toilet, a separate laundry fitted with a top load washer, a secure intercom entry, undercover secure basement car parking (off-street) and additionally car park spaces available on-street as well (with parking permit provided). Additionally, it has a secure bike rack area. I have attached a sample of recent photos taken of the apartment and the available contents and the suggested layout of the apartment. The apartment contains all the necessary items that you would need (may not be in photos) -- which hopefully would be less stressful on you! Additionally you are welcome to bring your items as well, there is enough space as well! Room for rent at a great location - 200 m away from shops, trains and trams. The house has wooden flooring and high ceilings. Lots of storage space. Comes with a front garden as well as a backyard sit out as seen in the photos. Air Conditioning is provided in the living room area. Central heating is also available. There is a parking spot provided at the back of the house. The room has bright light coming in through large windows, wooden floored. Comes with a full length mirrored wardrobe, apart from which that the room is unfurnished. Furniture could be arranged with a negotiable cost. The rent is $261 per calendar week ($1131 per month) excluding bills which come up to ~$30 a week. Your potential housemates are lovely women in their ~25-30s, up to catch up every now and then but are also mindful about privacy.